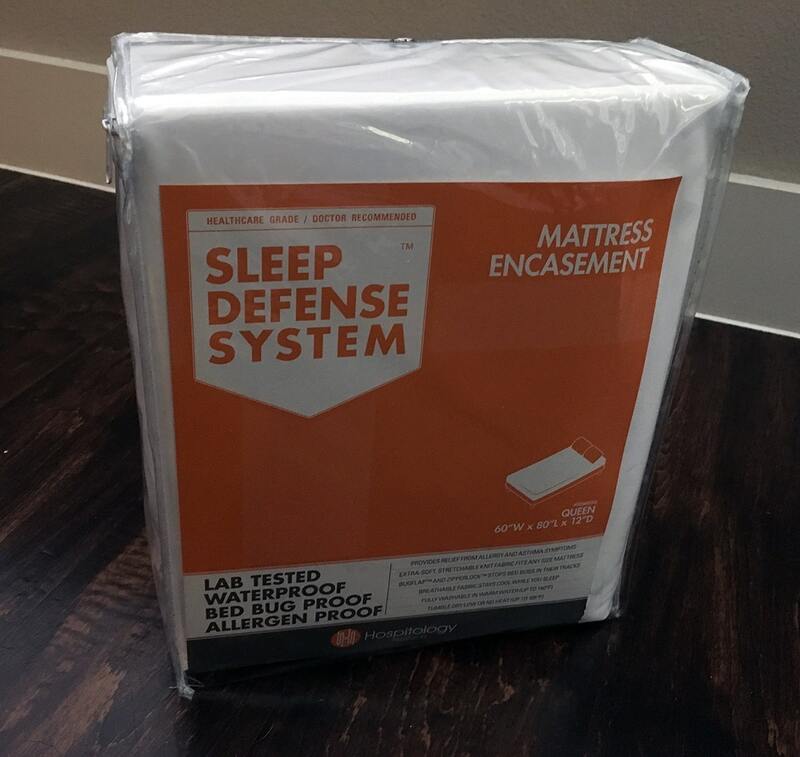 The Sleep Defense System encasement mattress protector provides protection on all six sides of your mattress. The material feels smooth under your sheets and is virtually noiseless. I do have one complaint, however. Read on for my full review. This Protector is meant to handle only small amounts of liquid that are addressed immediately. Larger amounts of liquid, and liquid that is allowed to sit for more than a few hours may eventually seep through Protector in the form of liquid vapor. Liquids with Strong Odors may transfer odor to your mattress. As I say in all my mattress protector reviews, make sure you read the care instructions carefully. This is especially important for waterproof mattresses because drying them on a high heat can mess with the waterproof membrane and allow leaks to happen. The Sleep Defense System mattress protector can be spot cleaned or machine washed. They also encourage a low tumble dry setting or letting the protector air dry. I went for the most convenient route and machine washed the protector with a small amount of detergent on a cold and gentle cycle. I put the protector in a low tumble dry and it came out great. No signs of wear or damage at all. With all of my mattress protectors, I try to do a waterproof test. When liquid stains or damages a mattress it often voids the warranty. It makes the waterproof properties of a mattress protector very important – we can’t have leaks! Typically I pour 10ozs of water into the center of the protector and wait a couple hours to see if it leaks. I do this to mimic a large spill or accident (they happen!). I’m glad I read the fine print carefully, because this mattress protector is technically waterproof, but not for large spills or anything that sits on your mattress. 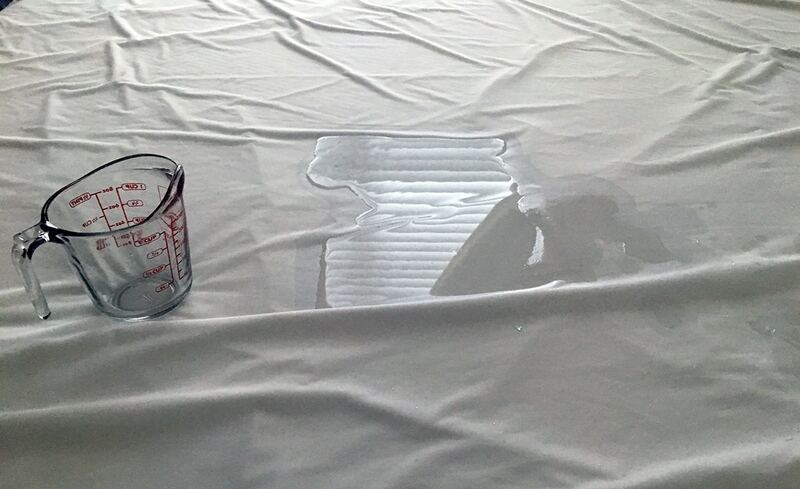 While I take extra precaution to make sure no water damages my mattress during waterproof testing, I decided not to do my typical test, which involves pouring 10ozs of water and leaving it on the protector for two hours. Instead, I poured 5ozs of water and wiped it off after five minutes. I did check underneath and felt no moisture or dampness, so it passed my modified waterproof test. Some negative reviews were definitely centered around the waterproof barrier on the protector. 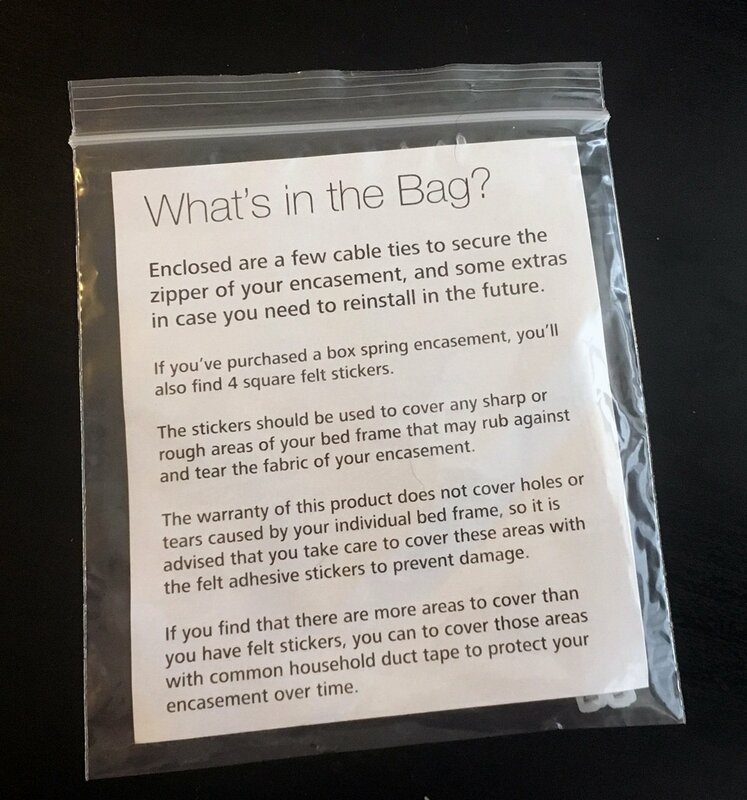 You may be curious as to why so many mattress protectors make sure to label their protectors as Vinyl-free. There has been some debate over the health safety of plastics, including PVC (also known as polyvinyl chloride or vinyl). I would recommend having an extra set of hands to get the mattress protector on since it can be a little tricky getting it over the entire mattress by yourself (but it is possible to do it alone). 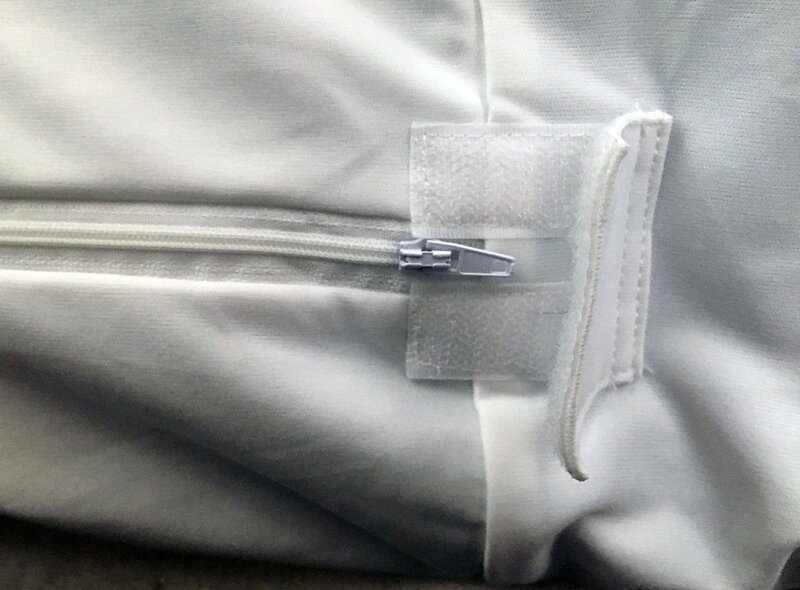 If you are very concerned about bed bugs, the Sleep Defense Mattress Protector comes with a little packet of plastic zip ties/cable ties so you can secure the zipper to your mattress protector, leaving virtually no openings for bed bugs to crawl in. However, some customers still had issues with bed bugs, which I think is worth noting. I really liked the polyester knit and overall feel of the mattress protector. I couldn’t hear any rusting or crinkling sound beneath my sheets I also couldn’t feel the protector underneath my sheets either. Although I have a 10-inch mattress, I went with the Standard size protector and it actually fit well. It wasn’t super tight, had a little bit of extra room but there wasn’t a bothersome amount of extra fabric and no extra noise. Overall, the encasement protector is really nice and comes in some great sizes that take into consideration how thick your mattress is. It's a good protector for those with sensitive skin or allergies as it has a bug flap for the zipper and really completely encases your mattress. It is waterproof but only under certain circumstances and may not be ideal for those who have accidents. The price of the protector depends on which size and material type you choose. A Queen in the Standard sized depth was available on Amazon for $32. I would recommend this encasement mattress for people who are more concerned about bed bugs than they are about preventing water damage to their mattress. 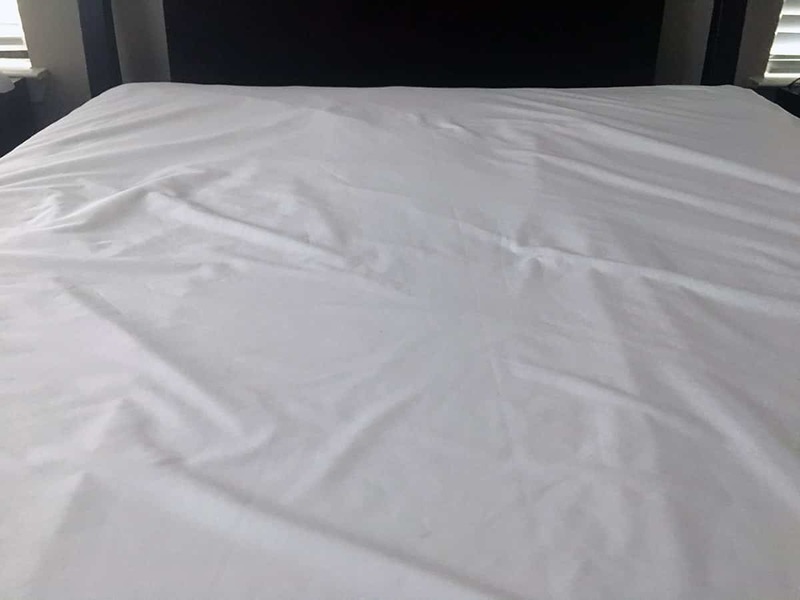 It appears to be great for those who are worried about dust mites, allergens and bed bugs and the encasement-style allows you to protect your entire mattress. 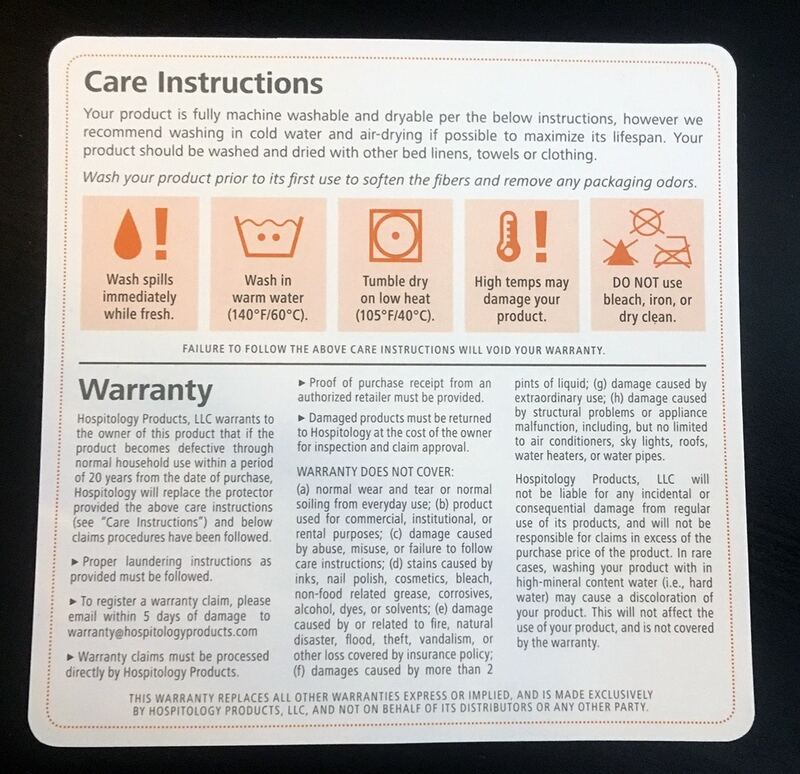 However, it says it is waterproof but it really only protects your mattress to a certain extent, and those who have children who have accidents in bed should be careful.